Each piece grew to a size that normally took a few years in just a few weeks. Furthermore, the method works on every single species of coral found in the Florida Reef. He notes that land plants produce only about a third of the oxygen we breathe. The rest comes from the ocean. Vaughan’s team now plans on teaching his method to conservationists around the world so they can collectively plant one million corals within the next few years. Dr Dave, the best is yet to come when all countries get on board with this. I am a very passionate marine aquarist and many aquarists in the hobby frag coral constantly to share between each other and have for years including myself. Honestly this replanting the reef is not hard and I personally would love to be doing this as a job but in Australia our government makes it hard with quarantine laws and protection of the reef rubbish that they know nothing about. If only we could do this on a large scale here the Great Barrier Reef would be as good as ever in 10years or less! I hope your ideas and work goes through the roof as this is the only way to save nature and the destruction of the world with ideas and people like yourself, good luck Dr Dave!! Can you not microfragment your own corals? They should not be subject to quarantine laws, should they? I think your government is a bit on the greedy side to not allow this, although it actually might increase revenue from tourism if they did. I would like to seek permission to reprint/republish this article in our Maritime Review Magazine. This is truly amazing absolutely groundbreaking, this is going to restore so much of the lost Coral. Wow this is amazing and such brilliant news. Fragging corals has been done for decades. The entire reef keeping hobby is based around fragging corals. You can actually search on YouTube and find hundreds of videos with instructions on how to frag various corals. Has to be a know it all jerk in every bunch. Thank you for this very interesting article. We can use some happy accidents. Go science and dedicated people who are trying to save us. Thank you, Dr. Dave Vaughn, for discovering this! I am sure that it was your attention to detail that allowed you to find this amazing solution to a very prominent problem in our oceans. I am thrilled, because it means so much for the worlds population of not only people, but all the species of wildlife that have relied directly on the coral reefs for survival. This is so exciting, thank you! Congratulations sir ..I am curious to know the exact reason behind this amazing phenomena . But one has to smash up a live coral to create each batch of new ones; that’s a loss in itself. Surely it’s much more important to stop mankind destroying coral by carelessly abusing of our oceans than to report on a possible means of covering for the abuse by growing replacements. Fantastic, but the conditions that kill coral still exist and are getting worse, so I suspect it will continue to decrease until the root cause (climate change) is addressed, which is not happening. An article about a Florida scientist making a discovery with Atlantic basin corals. WHY a picture of PACIFIC reef??? Atlantic and Caribbean reefs are gorgeous. Why not use an image of the affected reef system???? Wait… aren’t corals animals? What do they have to do with oxygen production? They have algae inside their tissues which metabolize carbon dioxide and give out oxygen like plants do. In return the coral gets most of its food from this process. I am currently researching how to set up a microfragmenting operation for the White River fish sanctuary in Ocho Rios Jamaica. I studied marine ecology and spent my professional life in scuba operations along the North coast. 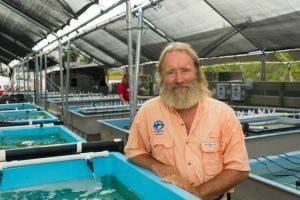 I had to retire from scuba for medical reasons and have since been involved in aquaculture. I tried raising ornamental fish but now want to start rehabilitating coral. That’s an AMAZING discovery. I hope he gets to the one million plantings of corals. I would speculate that having coral that matures faster can reproduce faster, can reproduce more often is a holding action. It doesn’t stop die-off, but it would vastly speed up recovery. A band-aid until something can be done to stop/adapt to the conditions causing bleaching and other forms of coral death. Hello, This is such fantastic news. I live in Sri Lanka, where there have been some works done to the coral but it is very slow progress. It would be so fantastic if we could do this project here too, There was a lot of damage to the coral due to the tsunami in 2004. Please can you put Hikkaduwa, in Sri Lanka on your list of places to restore. I will volunteer to Helio and can find other likeminded people who will be able to help too. This is wonderful! Can we help in any way? Except Corals are animals and eat oxygen, not produce it. This is such exciting news! Thank you, thank you, thank you!!! Why would you “plant” coral? Coral is not a plant; coral belongs to the animal kingdom. Plant has a quite a few different meanings. One if them is to introduce or place an animal in a certain place. Jim… you are joking, right? Healthy oceans = food & oxygen. Are you a robot? It has a symbiotic relationship with algae. That algae is responsible for the color of corals, as most corals have white skeletons and transparent flesh. Sometimes, to get extra balance, I plant my feet. They must be plants! Same way you might ‘plant’ your feet Jim. It’s just language! Does it really matter? Plus coral does need to be “planted” so that can grow. It won’t grown floating around! If someone plants a fist in your face, you might still have bloody nose. However you likely will not have a moss covering in the shape of a fist attached to your face. Try opening a dictionary and look up a word, like plant and notice there are multiple meanings. You can plant a flag in the ground, you can plant your seat on a chair, it is not just a verb used to plant a plant but rather to set an object somewhere. Don’t be obtuse. There’s more than one meaning for the word “plant”. In this instance, they are placing the coral onto a reef – planting it – because coral can’t get from the lab to the reef themselves. 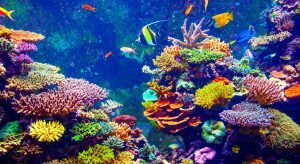 How do I learn about your project and help restore the world corals. Please send me links to your company or scientific project. It looks like he works for https://mote.org/ specifically, though. Hire me! I’ll plant too. I’d love to learn more about this project as well and help in any way I can. Please reach out! It’s not the same as planting a tree but you are still setting it into place where it will grow and flourish. Your feet aren’t plants either but we use the reference. Is this similar to osteogenesis????? If only we could stop poisoning the oceans, then corals might stand a chance of redeveloping the reefs. With all the negative news out there, I love reading a story that brings a smile to your face. Kudos to Dr. Vaughn for trying to improve our planet. I’m on Maui and would like to know if training in this process is available here? If not here, is training available at all. If humans would understand that only half of their respiratory system resides inside their chest, they wouldn’t need to be told that saving the oceans and trees is crucial. My question is how are you going to grow them in the ocean if the ones there are already dying from the environment? But what caused the reef to die in the first place? Won’t replanting in the same location yield the same result? The cause of reef decimation needs to be corrected for this to work. Our oceans are polluted with garbage and radioactive material and traffic and now the temperatures are fluctuating as a result of climate change. This is a remarkable discovery to be sure I just hope it grows successfully in the oceans.